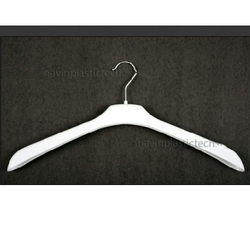 We are offering Black Coat Hanger to our clients. We offer Black Plastic Coat Hanger. We are engaged in offering a premium quality Garment Hangers. These hangers are provided in best packaging material. The offered hangers are designed using modern techniques by our qualified professionals. Our hangers are checked on a series of parameters to assure their unmatchable quality. 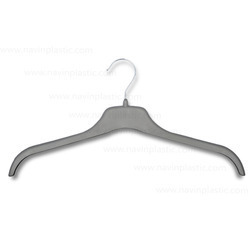 We are involved in the provision of high quality Plastic Coated Garment Hanger to clients at economical market prices.